Pick anyone of Hank Mobley’s extended string of Blue Note albums of the late fifties and the early sixties and you’re in for a treat. Soul Station (1960) is widely regarded as the tenor saxophonist’s masterpiece. It’s hard to disagree! 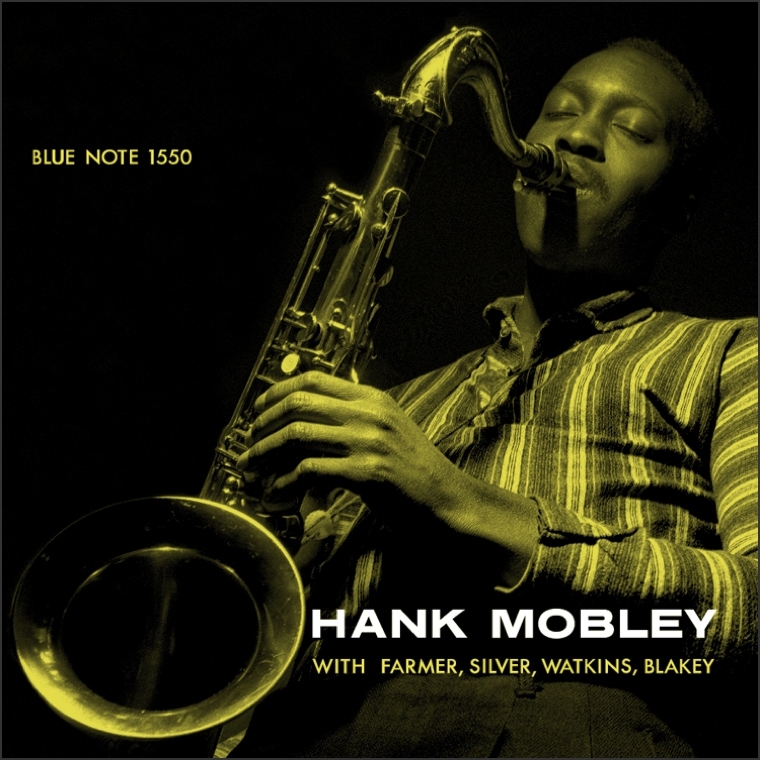 However, 1957’s Hank Mobley Quintet also ranks among’s Hank Mobley’s finest efforts. At its centre is Mobley’s unique silky sound. Tone wasn’t Mobley’s sole asset. The man possessed first-rate chops and a gift for writing unconventional, smoky tunes. The way Mobley embraced a melody and spun lyrical, flowing lines is exceptional. What more could one ask for? There’s the famous remark of legendary critic Leonard Feather, who dubbed Mobley ‘the middleweight champion of the tenor saxophone’ in the liner notes of 1961’s Workout. Feather believed, in terms of both fame and style, that Mobley belonged neither to the heavyweight category of Coleman Hawkins, John Coltrane and Sonny Rollins, nor to the lightweight school of Stan Getz. Feather suggested that Mobley’s uncommon, relaxed but driving phrasing unjustly kept him under the radar. But among musicians and label bosses Mobley was indisputed and in constant demand. The tenorist from Philadelphia recorded with, among others, Max Roach, Dizzy Gillespie, Lee Morgan, Cedar Walton, Kenny Dorham, Miles Davis, Freddie Hubbard, Donald Byrd, Kenny Drew, Elvin Jones, Grant Green… The list is endless. His well-known cooperation with fellow original Jazz Messengers Art Blakey and Horace Silver is of the utmost historic value. Mobley’s subtle methods gelled surprisingly well with the explosive approach of Blakey. It’s a rather mysterious but inspiring blend that’s showcased on the landmark albums that were quintessential in spawning hard bop, Horace Silver And The Jazz Messengers and At The Bohemia I and II. The line-up of Hank Mobley Quintet constitutes the original Messengers line-up of the above-mentioned albums minus Kenny Dorham. Mobley’s Soul Station is remarkable for the fact that the relaxed but insistent swing of Mobley seems to nurture a gentler Blakey attack: a quiet storm. Blakey places more pushy accents, press rolls and cymbal crashes on Hank Mobley Quintet. That’s pretty swell too. Wham And They’re Gone sizzles, boils and, like a jolly giant, threatens to tear out of its turtleneck sweater. Mobley goes about his business of stacking breathy flurries of notes while retaining a sense of elegance and sophistication. Cuts like Funk In Deep Freeze, a twisty-turny melody taken at medium tempo, are gems of a group of players that know each other inside out. Mobley knew how to handle ballads. His original ballad, Fin De l’Affaire, is a gorgeous melody that leans heavily on the dark-hued bass of Doug Watkins, and which Mobley graces with understated pathos. Horace Silver plays ‘full of silence’, a beautific way of giving substance to a solo that’s both romantic and bluesy. Art Farmer is an authoritative presence on the album, alternating between open horn and mute. These guys are pioneers of hard bop that lift more average material like Stella-Wise and 12-bar blues Base On Balls to a higher level. Hank Mobley functions as suave leader of the pack. What a refined player, nary a corny phrase around.